Gyagu Manga Biyori is an anime that is about absolutely nothing. It is comprised of 12 short stories (5 minutes long each) that only build up a small amount of plot for each story. The anime feeds off the stupidest things, but is quite humorous. 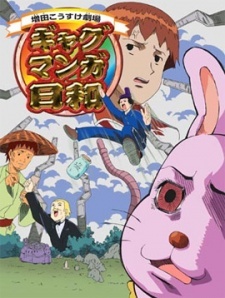 Watch Gyagu Manga Biyori Episodes Online at Animegg.org. Gyagu Manga Biyori is available in High Definition only through Animegg.org. Choose an episode below and start watching Gyagu Manga Biyori in Subbed & Dubbed HD now.